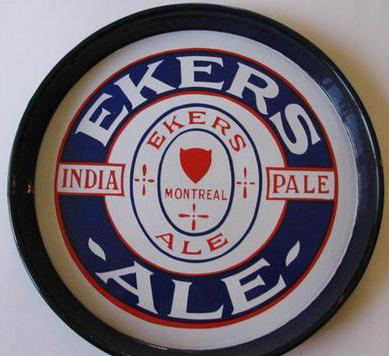 Serving Tray for Ekers India Pale Ale out of Montreal, Quebec, Canada. This round tray features red, blue, and white. The simple color scheme gets a lot of dynamism from all of the different rings and motifs that actually make the design look quite busy.